Providing you the best range of bluetooth enable solar home system with effective & timely delivery. A Bluetooth Enable Solar Home System is a small-scale, autonomous electricity supply for households that are off-grid or have unreliable access to energy. It generates electricity from sunshine and stores the electricity in a battery for consumption during the night or cloudy days. 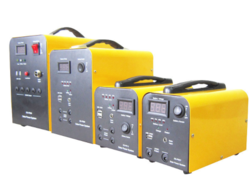 SHSs generate direct current (DC) that can be used for a range of electrical appliances, from lighting and mobile phone charging to small televisions, radios, fans or other appliances. By replacing fossil energy sources such as kerosene, candles and dry batteries, SHSs have the potential to reduce indoor air pollution and substitute energy expenditures. Looking for Solar Home System ?